With college classes back again, we thought it would be a perfect time to have another sale on VDMX to help students and up and coming VJs start off the fall semester. Through September 9th, you can get VDMX for only 99 USD by sending us a school photo ID card, or by participating in our “starving artists” discount program. Automatic BPM detection in VDMX keeps visuals in sync with music. 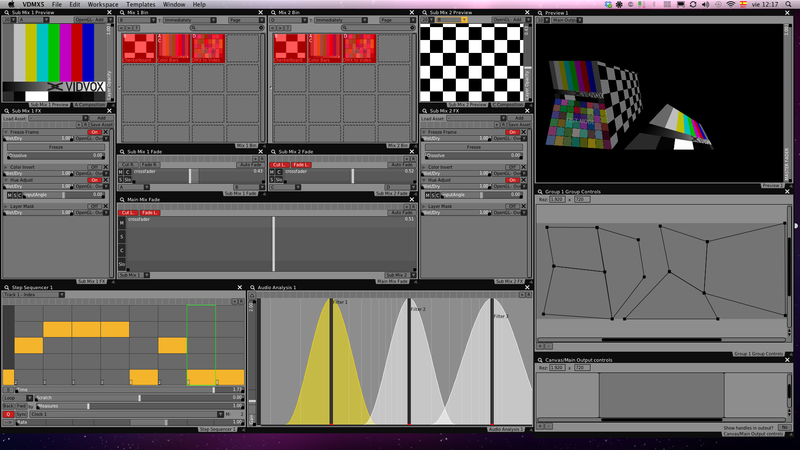 or some other idea that uses your existing skills in exchange for a discount on a full license of VDMX. For more information on the sale visit our buy page, or send us an email with a scan of your school photo ID or a proposal for the starving artist rate, and we’ll send back a coupon code to get your full license for 99 USD when purchasing VDMX from our online store. Esta entrada fue publicada en BLOG -COSAS INTERESANTES, Noticias, reblog, software y etiquetada descuento, VDMX, vidvox. Guarda el enlace permanente.